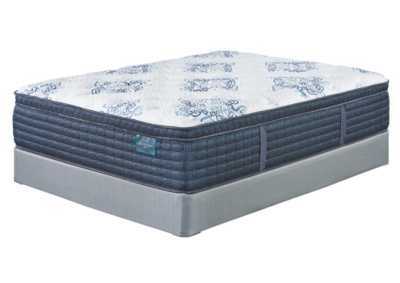 Sleep any way you want on this California king mattress and enjoy comfort all over. Layers of resilient memory foam conform to every part of your body to relieve pressure on joints. Lumbar gel memory foam specifically targets spinal alignment and regulates sleeping temperature. It also works in tandem with the firm coil system so one partner won't disturb the other's peaceful sleep. Foundation/box spring available, sold separately.